SECOND MESA - is a collaborative three-hour structured performance with choreographer Douglas Dunn, composer Richard Lerman, and sculptor Jeffrey Schiff. 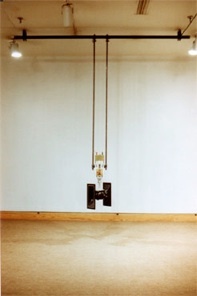 The work was commissioned in 1982-83 by the Institute of Contemporary Art (Boston) as the performance component of their “ART & DANCE” exhibition. The score for the work was created to integrate with both the static sculptural sets, the unusual sonic properties of the gallery spaces, and the changing points of view created with a moving audience. 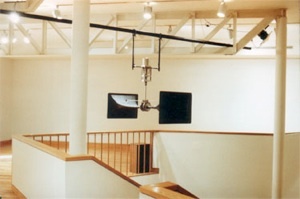 Since the gallery spaces were divided into a multi-tiered space with a three story open stairwell, the music was made to take advantage of the unique architectural environment. John Driscoll and Richard Lerman each controlled sets of rotating loudspeakers on different floors, as well as both conventional speakers and one highly focused speaker. 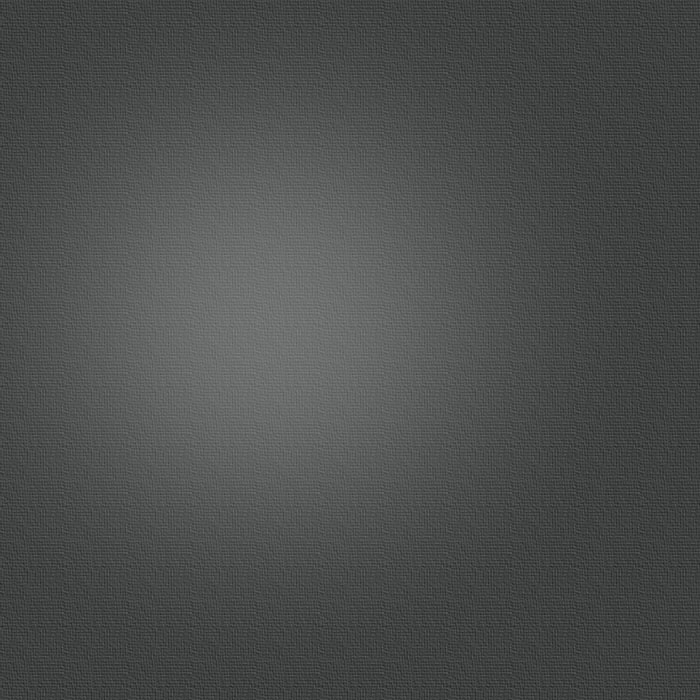 The music used a large range of sonic imaging including point sources of sound and large moving masses of sound. 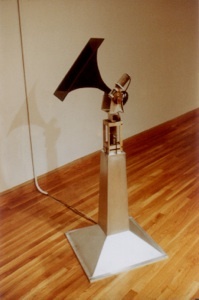 This allowed for a constantly changing sonic architecture to evolve with varying dynamics of sound movement, location, reflection, and images.